As you can see, its missing the Double Layer SuperDrive. I took it out of the computer and replaced it with Other World Computing’s DataDoubler (a hard drive caddy) and originally, OWC’s 60GB 3G SSD. Nice drive. Peppy…Way too small. Anyway, OWC makes a nice DIY kit with their 60GB 3G SSD that includes their DataDoubler for about $165 USD, as of this writing. When you’re all done with the DIY replacement of your MBP’s SuperDrive for an SSD, you’ll need to find an enclosure solution for the SuperDrive. Thankfully, OWC also recently added the OWC SuperSlim for Apple SuperDrive USB 2.0 Optical Drive External Enclosure to its DIY catalog. With it, you’ll be able to take the SuperDrive and hang it off of one of your USB ports and use the drive externally. However, you’ll need to make a couple of binary modifications so that DVD Player (as well as other apps) work with an external DVD drive. Its a nice little setup; and one that makes the PC very green and very fast. However, I almost immediately ran into storage problems with the 60GB SSD, and I began looking for alternatives. The problem is that SSD’s are expensive, and I was hooked on the SSD performance, which, unfortunately is like crack. Once you wrap your lips around that pipe, you’re never going to go back. Thankfully, I’m patient, and I know how to search the internet for deals. 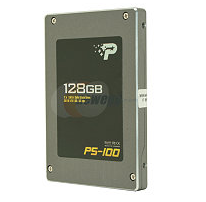 In June or July I found an awesome deal on a Patriot PS-100 128GB 3G bps SSD at NewEgg. I ended up paying about $150 for the drive, and doubled my boot drive’s storage space for about the same price I paid for the 60GB SSD from OWC. It was ok; but the performance on this drive was horrible. It was very slow, and didn’t support TRIM. This started being a problem as the drive started to fill up. Both performance and battery life began to take a hit, and it was CLEAR I needed to do something. The drive does not support TRIM, even with LION and TRIM Enabler. It is heavily fragmented, and while it had enough space, for now, I knew I would need more for applications and such, even though I store my Mac’s home directory and all other data (including my iTunes library) on that Seagate 750GB Momentus XT Hybrid Drive. I began looking for an alternative SSD solution, one that would be a tad bigger, have better performance and must, of course, support TRIM. My problem was that I didn’t want to spend a lot for it. I really spoiled myself when it came to the PS-100. $150 for a 128GB SSD is STILL a good deal (as of this writing); and I really didn’t want to spend much more than that. However, the next step up in size from 128GB is 200-256GB; and the way things were looking, the deal that I found on the PS-100 was a fluke, fire sale or some other type of product dump. I wasn’t going to find something that cheap again; and the way the PS-100 was performing, I probably wouldn’t want to, either. The OCZ Agility3 3Gbps 240GB SSD. What I did find was the OCZ Agility3 3Gbps 240GB SSD. NewEgg currently has it on sale, and as you can see from the basic spec comparison table, below, its a much better drive. 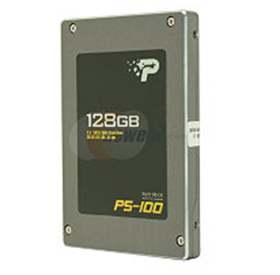 The PS-100 has mediocre read speeds, and near snail-paced write speeds. 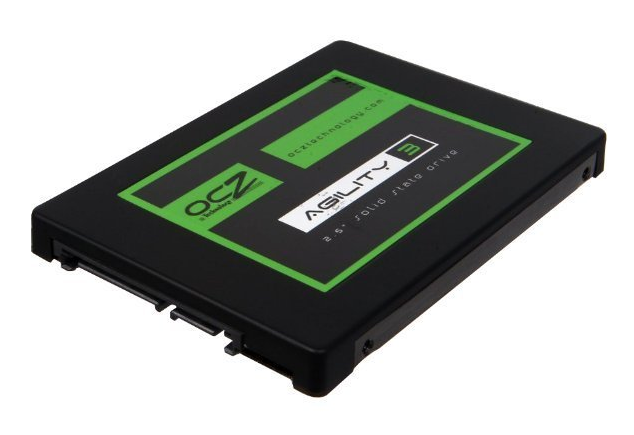 the OCZ Agility3 is somewhat faster reading data, and is nearly twice as fast writing data as the drive its replacing. Now, what does this all mean? Very simple – its a much better drive. The performance boost I’ve seen in the short amount of time that I’ve used it is clearly noticeable. At 240GB, I shouldn’t have any issues with Mac OS or application storage. Its also rated to last twice as long as the PS-100; and most importantly, has TRIM support. (For those that don’t know what TRIM is, you can check out this article on Wikipedia.) However, suffice it to say, that for as much data as I’ve had on and off the drive, the lack of TRIM support on the PS-100 was causing some really huge problems for me. The PC, with its processor and large cache of RAM was really taking a performance hit, and I’ve been spending a lot of time trying to figure out what was wrong. I’ll be following up with another post, in a month or so, on the performance of the new SSD. What needs Improvement: Cost per GB. TBD. The updated post will likely highlight potential performance-based improvements. Conclusion: At $1.25 per GB, the drive is a pretty good deal for an SSD; but its still nearly four times as expensive as the 750GB Seagate Momentus XT I’m using as a data drive. Given that most SSD’s will likely dip below the $1/GB price in 2012, this isn’t a GREAT deal, but its still not bad. SSD’s will eventually replace spinning media for mass storage in PC’s. The only thing currently holding it back, is the cost. I truly prefer your posts. Eagerly anticipating additional updates on this.